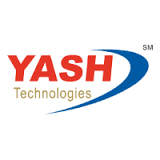 YASH Infrastructure Management Services (IMS) team is looking for a strong IT Service Desk Engineer for supporting IT operational requirements. The shortlisted candidate should have strong communication, interpersonal, analytical and problem solving skills. Should have an ability to effectively communicate complex technical issues within the team, and is able to work individually or as part of a team to achieve project goals. Should have 2 - 4 yrs of IT Experience. Provide initial problem determination and first level support problem resolution. Password reset for Windows AD and other Applications. Operation system errors and warning (windows). Basic hardware triage for PC – Printer issues.